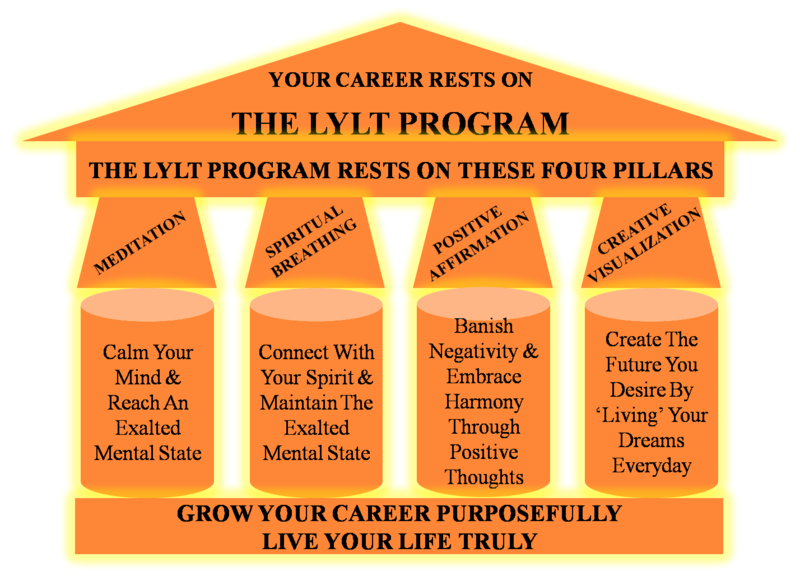 The LYLT Program is resting on four robust pillars (Spiritual Breathing, Meditation, Positive Affirmation, and Creative Visualization). Each of these pillars, by itself, can bring about major change in how to deal with life’s surprises, whether at work or home. Spiritual Breathing helps in the creation of new and desirable thoughts, Meditation calms a hyper-active mind, Positive Affirmation drives away negativity and Creative Visualization facilitates the formation of pictures of a desirable future. A major part of The LYLT Program’s weekly commentaries on Management Self Development is devoted to Authentic Leadership Development and you will gradually learn how to relate the tenets of leadership with the game-changing outcomes of a 'joint exercise' involving the regular practice of all four disciplines of The LYLT Program.The LYLT Program Mentor will guide you every step of the way in firmly establishing this relationship in your mind. There you have it... the recipe for evolving into an authentic leader! All that is now needed is your will coupled with your passion.